Well, well, if someone had told me 12 weeks ago that this is what the series 8 finale would be like, I wouldn’t have guessed it! The same way I wouldn’t have guessed that I’d watch the episode at 2am on my laptop in the middle of some Belgium airport (okay, Brussels National Airport) thanks to some cheap tricks to have limitless Wi-Fi instead of the complimentary 30 minutes (delete cookies and cache, people). The problem is that, because of my lack of sleep and my severe dehydration –consequence of my excessive crying during that final scene with cyber-Lethbridge-Stewart, I cannot write the long, thoughtful review that ‘Death in Heaven’, an episode that served as a perfect conclusion, deserves. Therefore, I will just point out my favourite moments and then I will continue sobbing because even the slightest moment of happiness in this show contains waves of melancholy. 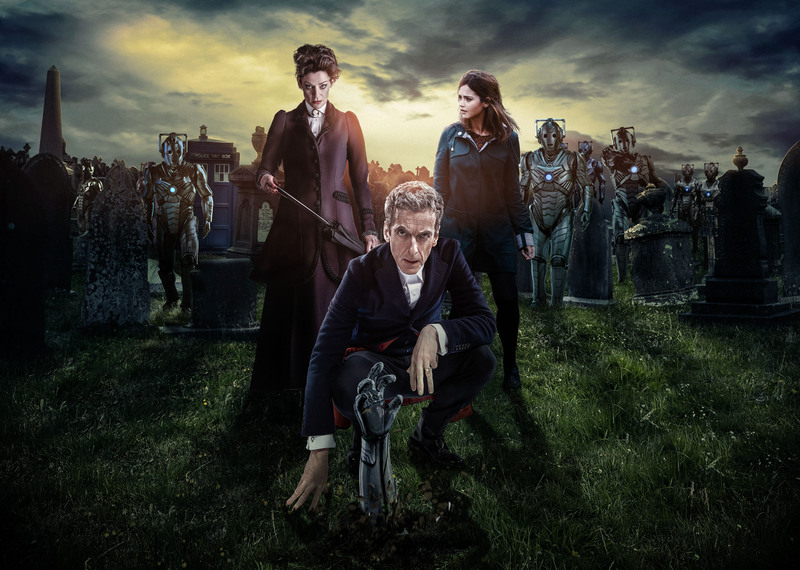 -This was so obvious, though: Clara was not the Doctor, but I applaud Moffat for that tricky intro. It was an original twist and originality is always welcome. Nevertheless, had Clara actually been the Doctor, it would have been the most shocking moment in ages! 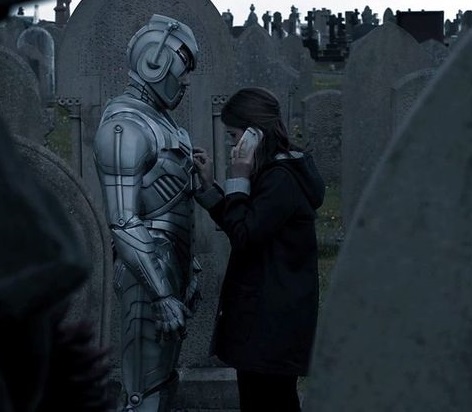 -Quite a few people died, but I did not expect Osgood to be one of them (especially because right after she died the music was so chipper, a perfect fit for the Master’s craziness). -In addition to Eleven’s bowtie, Osgood was also wearing Ten’s Converse trainers. -I was worried about what would happen to Danny, because I knew there was no going back from him being dead (not if your name is not Rory), but the way he was sent off was quite fitting for the character and for the whole soldier theme that has been going on this season. Also, I cried in the end. Yes, when he is a ball of white light. We all knew he would save the kid. -Kudos to Michelle Gómez. She is hilarious and has the perfect touch of crazy lunatic that is required to play the Master. Although the way they “finished her off” left me confused and I don’t know what to think. -And about her, it comes as no surprise that she was the woman behind putting together “the control freak” and “the man who should never be controlled”. But we got to see Smith again, so it is worth it. -“Permission to… squeeeee!!! !” Best.Moment. I instantly replayed it. I am so tired I am afraid I cannot write anymore, but I have one last doubt: Clara IS coming back, isn’t she? There is no word yet on her alleged departure, and the always reliable Wikipedia (not kidding, I quite trust it) says that she is the companion for the Christmas Special. I really hope she doesn’t leave the show on such a sad note, dead boyfriend and all. Thanks for putting up with my thoughts, my particular views and my terrible writing. See you on Christmas Day!